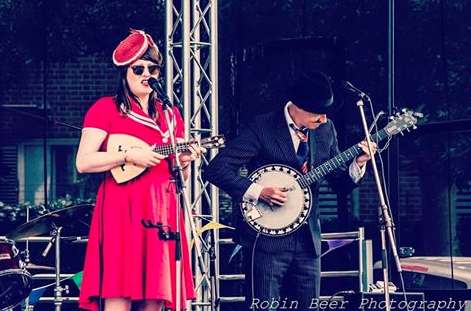 6th August – Wilderness Festival, Cornbury Park, Oxfordshire 8pm. For more info email me ! 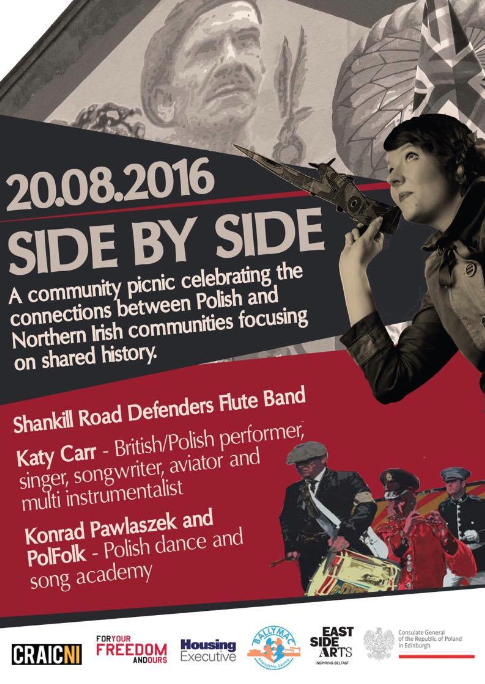 20th August – ‘Side by Side Project at East Side Arts Festival address – 1A Fraser Pass, Belfast BT4 1BP. 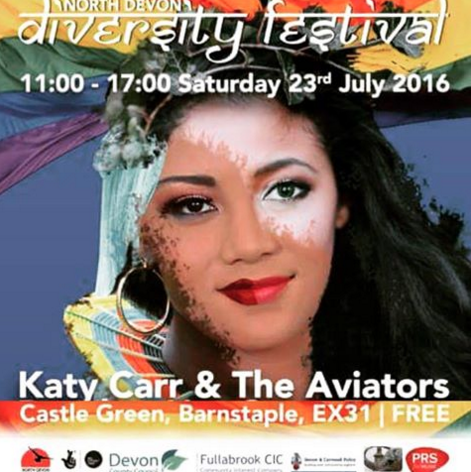 Katy Carr will be performing a special concert as part of the East Side Arts Festival. This event will focus on community integration, promotion of the arts, music, visual arts, comedy, theatre, film and literature and there will be performances and exhibitions of cultural and educational value to all communities. All welcome ))) The Shankill Road Defenders Flute Band will perform which are a melody flute band from Belfast’s Shankill Road. 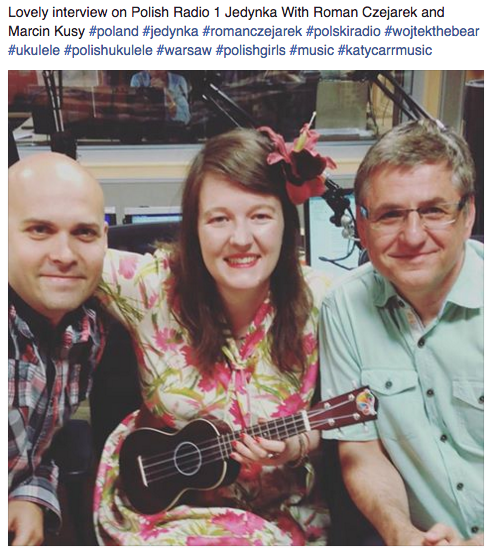 Konrad Pawlaszek and PolFolk will share Polish dances and songs from their academy based in Belfast promoting and sharing experience of Polish Folk culture. BIG THANK YOUS THIS MONTH GO TO …. 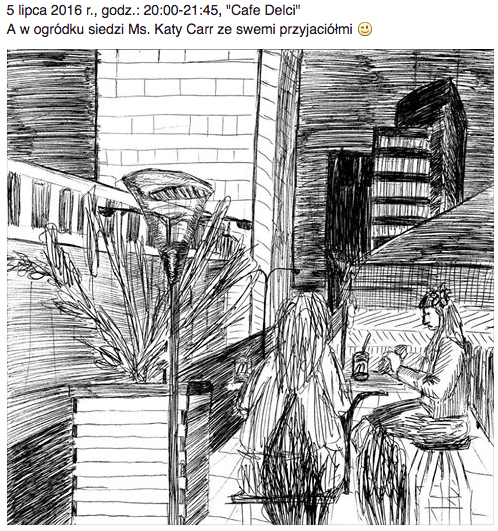 Piszę do Pani po tym jak usłyszałam Panią w audycji Lato z Radiem. 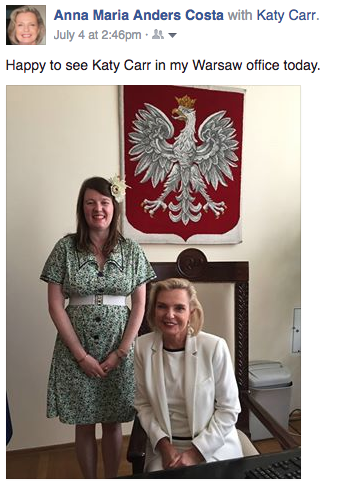 Serce sie raduje, że są ludzie dla których historia Polski jest ważna. Historia zakazana, zapomniana i celowo pomijana przez wiele lat. Dziekuję za wzruszenie i ogromną dumę jaką czuje się podczas Pani wystąpień. Jest Pani NIESAMOWITA!! Życzę wielu sukcesów, spełnienia i siły! 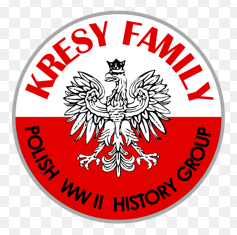 Thank you to all at Kresy Family for the lovely lunch at the Lowiczanka Restaurant in the POSK – the Polish Centre in Hammersmith to commemorate the signing of the Sikorski-Maisky Pact which took place on 30 July 1941 granting freedom to all Polish citizens enslaved in Stalin’s ‘Gulag’ white slave camp system which was in operation throughout the USSR during WWII. 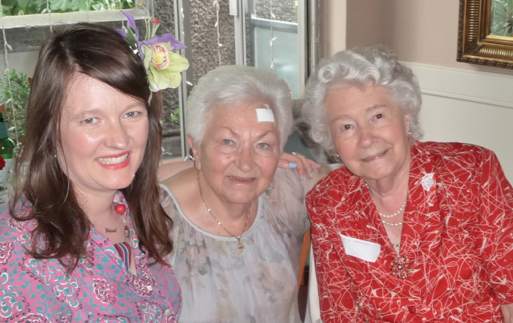 With two of my lovely Polish friends below who had survived the Gulags in Siberia during WWII and shared their deeply moving life experiences with me.